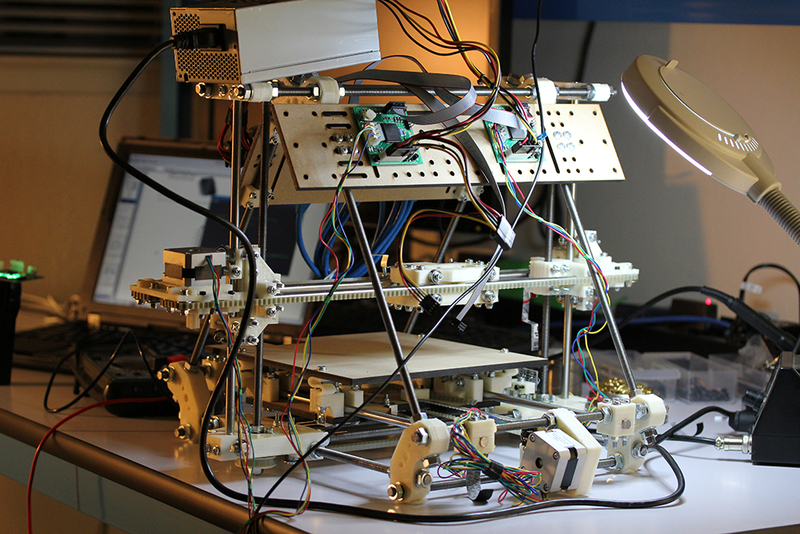 In 2004, British Andrian Bowyer invented the first 3D printer named RepRap (Replicating Rapid-prototyper) capable of self-production and self-replication. It was community-oriented and open-source, allowing interested parties to download, examine, and improve it. As a result, the concept of “machine-produced machine” has become a cycle of unlimited sharing. The 3D printer in this exhibition will keep producing the components of other 3D printers, thereby generating an endless production process in which the produced printers will in turn serve the role of producers. Copyright © 2015 DAC-Digital Art Center, Taipei. All Rights Reserved.